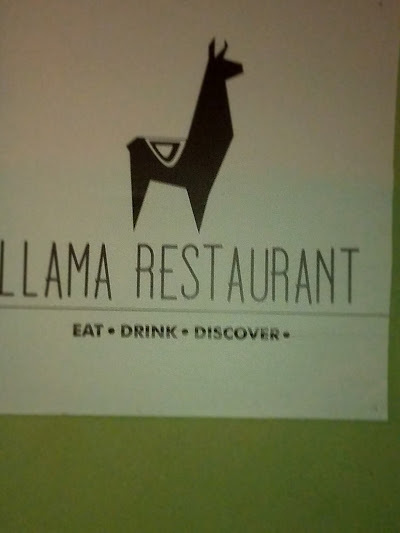 Llama Restaurant will be my top pick of new restaurants for 2016. As any food blogger will tell you, we spend an inordinate amount eating out in established and new restaurants; I am no different. 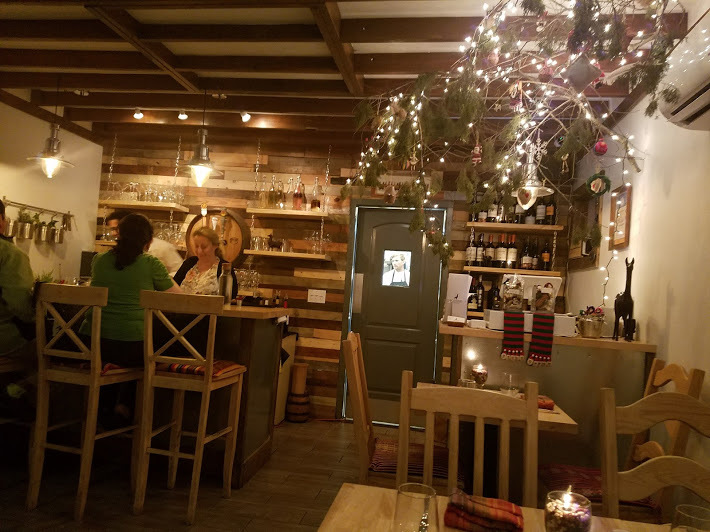 The interior is simple, understated and intimate with few tables. 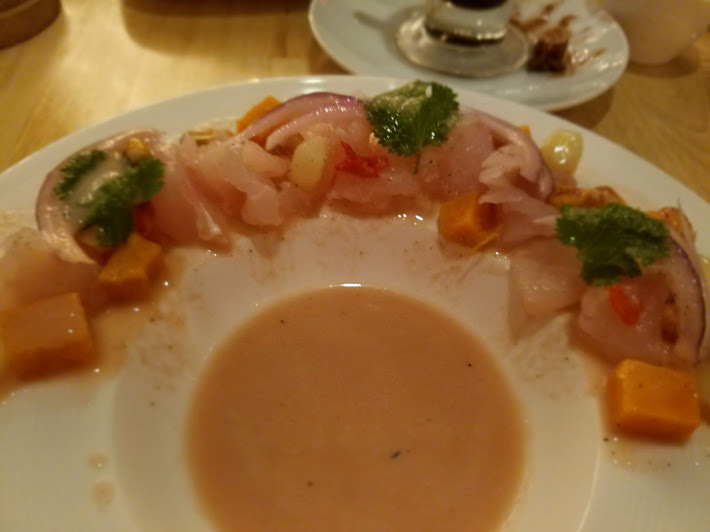 Service was impeccable, presentation five star, and flavors that will leave you wanting more. While they have some traditional food items the dishes that take you out of you comfort zone are the ones to order. 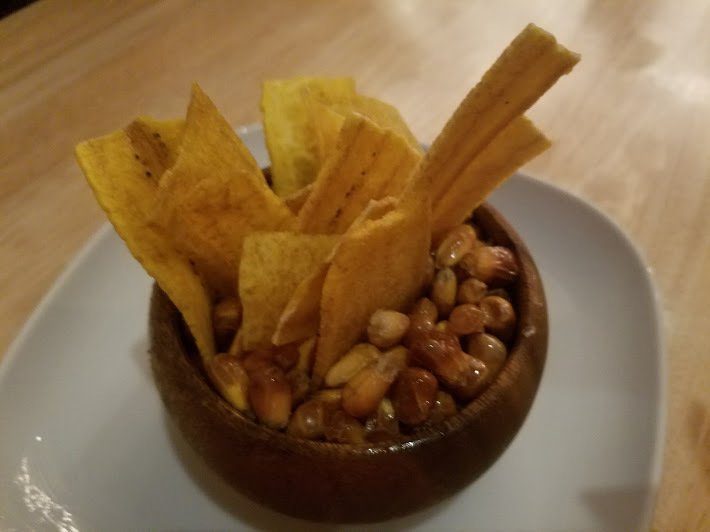 Each table is presented with a bowl of baked plantains and roasted corn kernels. The plantains were the sweetest I have ever tasted, the corn well cooked with a generous sprinkle of salt. 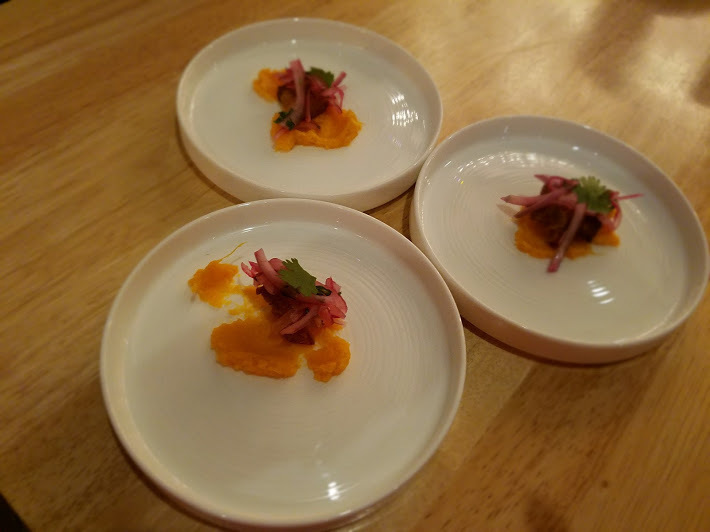 We started with an assortment of appetizers; a first choice the Ceviche, fresh Corvine marinated with lime juice, cilantro, and Limo peppers served with Peruvian giant corn and glazed sweet potato. Fresh firm fish well chilled and perfectly balanced flavors, we devoured every last morsel. 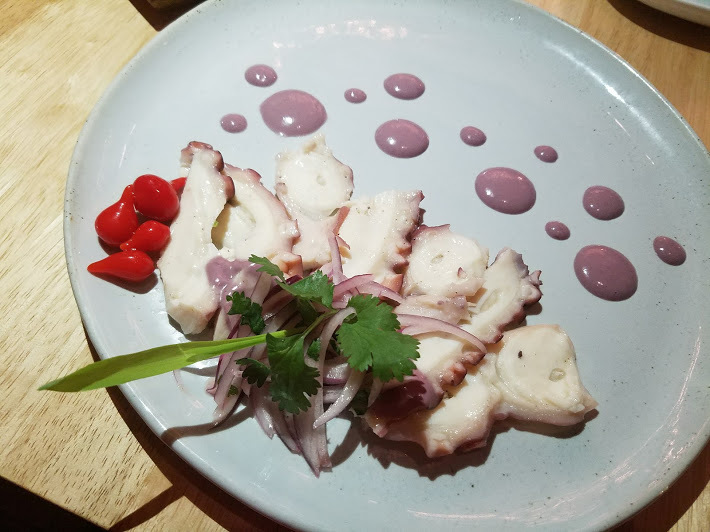 Our next choice Pulpo, well-tenderized octopus carpaccio red onions, key lime drizzled with Botija olive aioli then garnished with sweet drip Peruvian peppers, again unusual flavor, beautiful presentation, the pepper garnish, which I ate was a flavor and texture I was curious to experience. 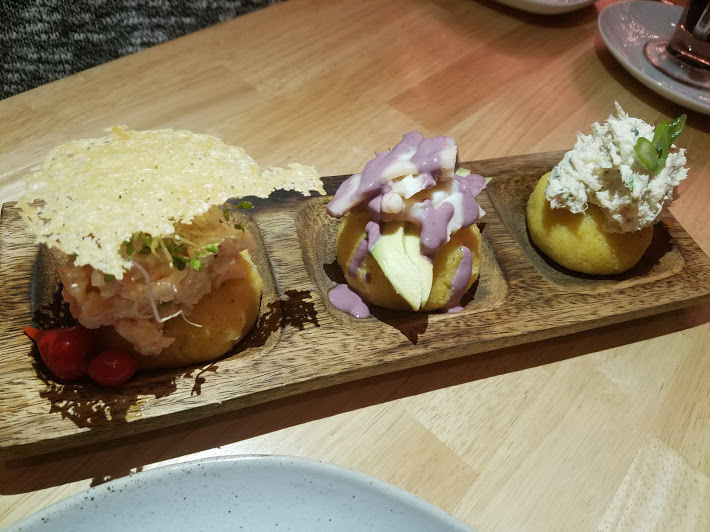 We were also intrigued by the Causa Trio, chilled golden potato cakes, seasoned and marinated, one avocado, one chicken, and one octopus. I am quite fond of the golden potatoes; a thick starchy consistency lends itself to pairing well with an assortment of toppings. 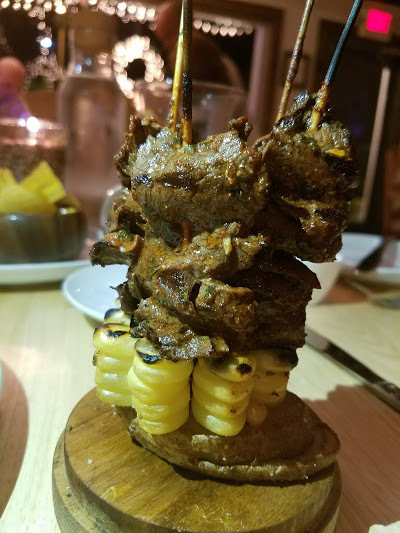 My favorite and my choice of appetizers, Anticuchos, or beef hearts, my companions having none, and I was pleased to devour this dish on my own. When brought to the table, in a smoke filled bell jar everyone in the restaurant had to look, once uncovered the presentation is the first thing one notices, then the sweet aroma of beef hits you. Do not be put off by the name, if you eat any red meat, you will put this on your list as a must have dish for meals to come. Our host gifted us with serving of Chicharron, well-flavored morsels of fried pork belly delicious. 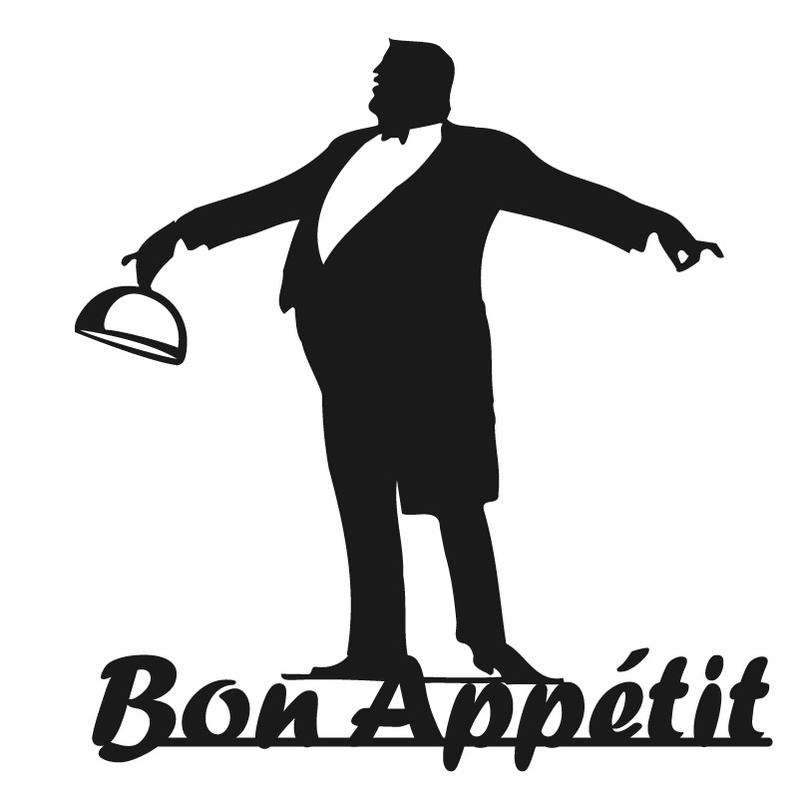 There was no dilemma about our main dishes; Seco, tender beef braised in spices and dark beer, yucca and cilantro are served Au Jus over canary beans and jasmine rice. 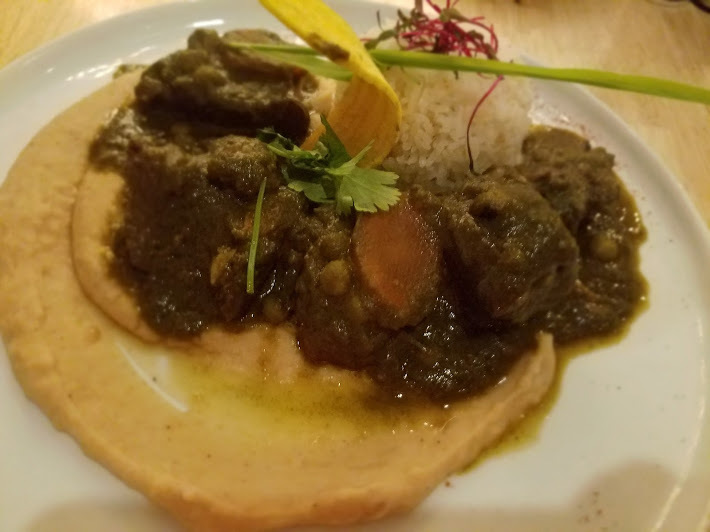 The dish was wonderfully rich with flavors, the beans and rice a perfect choice paired well with the broth. 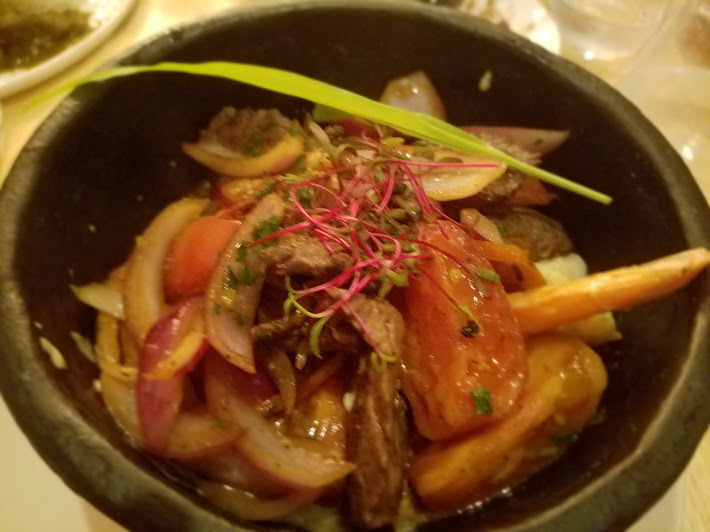 We added the Lomo, comprised of tender pieces of hanger steak sautéed with onions, tomatoes, Amarillo pepper and cilantro served Au Jus over golden potatoes and a side of jasmine rice, the golden potatoes perfect pairing with the meat. I am always in pasta mode, so when I spied Mar y Tierra, well it was a no-brainer, surf, and turf dish, jumbo shrimp and well-seasoned bite size slices of hangar steak served over tagliatelle then tossed in Amarillo pepper cream sauce. This is a dish I would be glad to eat at least once a week. 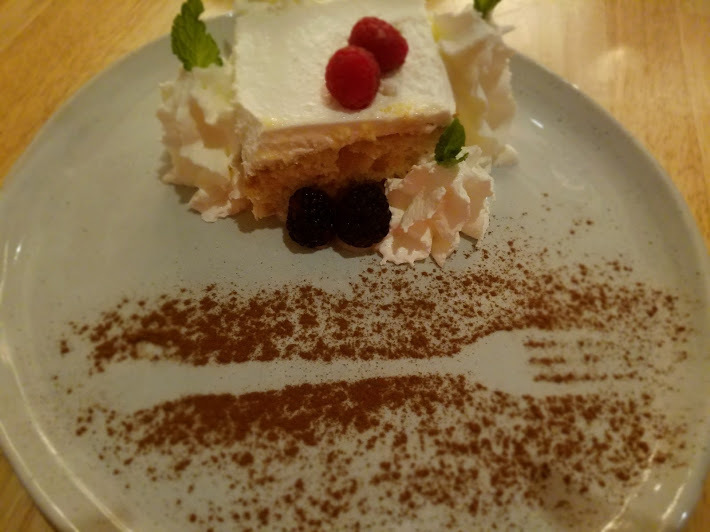 A traditional Tres Leches, rich, creamy and delicious dusted with cocoa powder, was a favorite at the table. 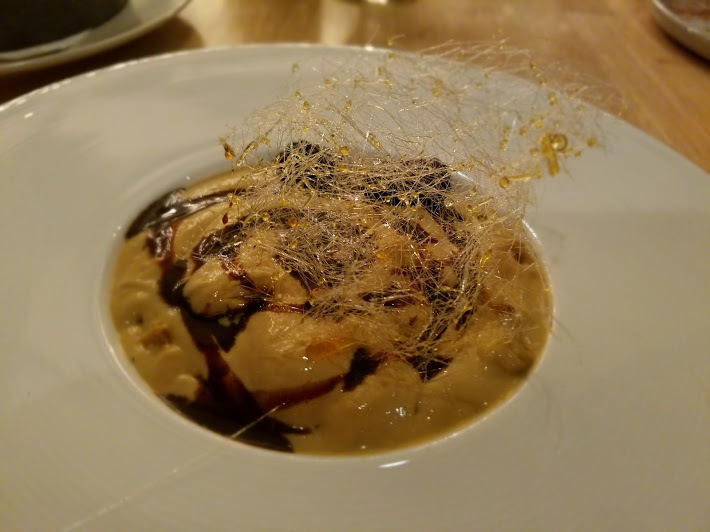 But the winner the Twisted Tiramisu with spun sugar caramel a dramatic presentation, not the same boring tiramisu I have become immune to, I wanted to eat this dessert, well at least taste it. 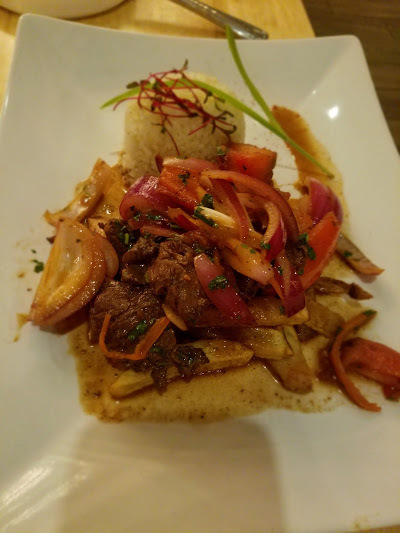 So I can’t say enough positive words about Llama restaurant. 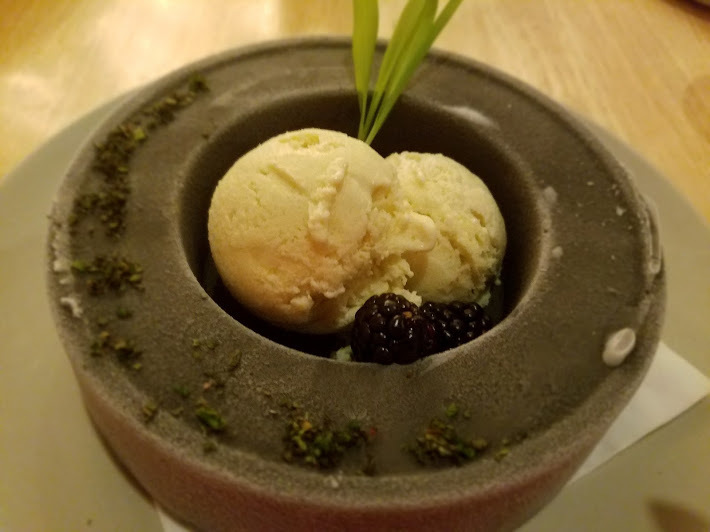 Romance, date night, special occasion, or just because you want to have an amazing food experience, this is your place. Reservations are a must if you are going to dinner, lunch I don’t know, but I always err on the side of caution. This restaurant is not a kid friendly spot; in my mind adults only please.